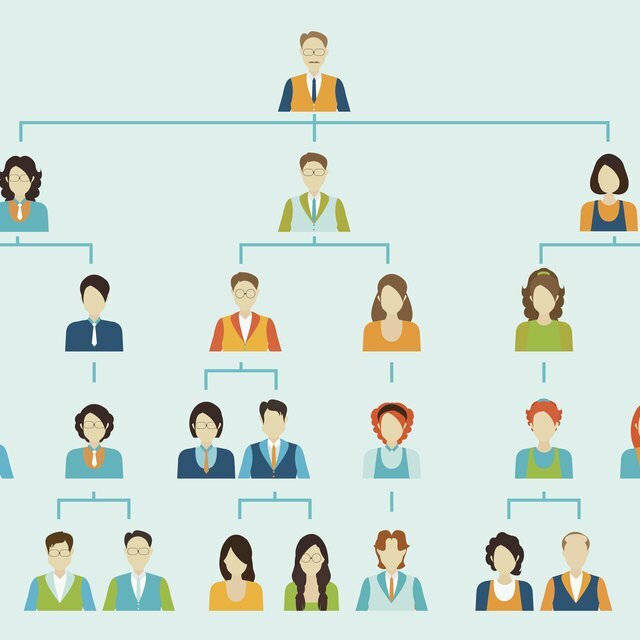 The most common structure found within organizations, functional structure consists of units or departmental groups identified by specialty, such as engineering, development, marketing, finance, sales or human resources that are controlled from the top level of management. This differs from a divisional or product structure, which typically distinguishes its units by product type or geographical region and allows leaders within each unit more control. The functional structure was designed on the concept that high specialization and high control yields high efficiency. Though titles vary depending on the organization, each unit in a functional structure includes employees who are trained to perform specialized tasks. The top tier of a functional structure may be a company president. The second tier may be comprised of several vice presidents, each positioned in an area of expertise, such as vice president of manufacturing or vice president of sales and marketing. Below each vice president may be one or more directors with abilities in the same specialized area as that particular vice president. The directors might be followed by managers, and the managers followed by assistant managers, all possessing skills in the same area as those preceding them. To exercise control and operate with high levels of efficiency, the leaders of each unit within a functional structure need in-depth knowledge and experience in their specialized area. This type of structure is often found in environments where unit leaders possess a high level of technical knowledge in their given field, as well as in organizations where leaders serve as mentors to younger staff members. Competency in their field and solid management skills are key attributes in establishing and maintaining the tight, proficiency-oriented track of a functional structure. One of the major advantages of this type of infrastructure is that it develops specialists by promoting career advancement. Career paths are clearly defined, and because aptitude, talent and knowledge for specialized functions and particular roles are merged into sub-categories within the company, employees have the opportunity to learn from the expertise of their superiors. They also have the opportunity to work alongside colleagues who relate to their professional interests and abilities, thus making for a more productive and enjoyable work environment. Because each unit in a functional structure is focused on its own area of specialty, it might be lacking a broad view of the company if there isn’t consistent integration of and communication between departments. Another disadvantage is that units may have limited flexibility in problem-solving, making changes or responding quickly to customer demands or needs since the final decision-making authority rests with the top level of management. This is in contrast to divisional or product structures where unit leaders are given more control within their unit's environment. The larger the organization, the more challenging it is for each specialized group to clarify how individual departments ultimately connect and contribute to the business succeeding as a unified company. For this reason, the functional structure is most successful in organizations that are small to medium in size and only deal with a few product types and services.